Oregon Coast Council for the Arts is proud to present the 13th season of The Met: Live in HD, the Metropolitan Opera’s award-winning series of live high-definition simulcasts. At the Newport Performing Arts Center, the season kicks off at 10 a.m. Saturday, Oct. 13 with the Met’s grand production of Verdi’s “Aida,” starring acclaimed soprano Anna Netrebko (pictured right) and hosted by Dorothy Black Crow. 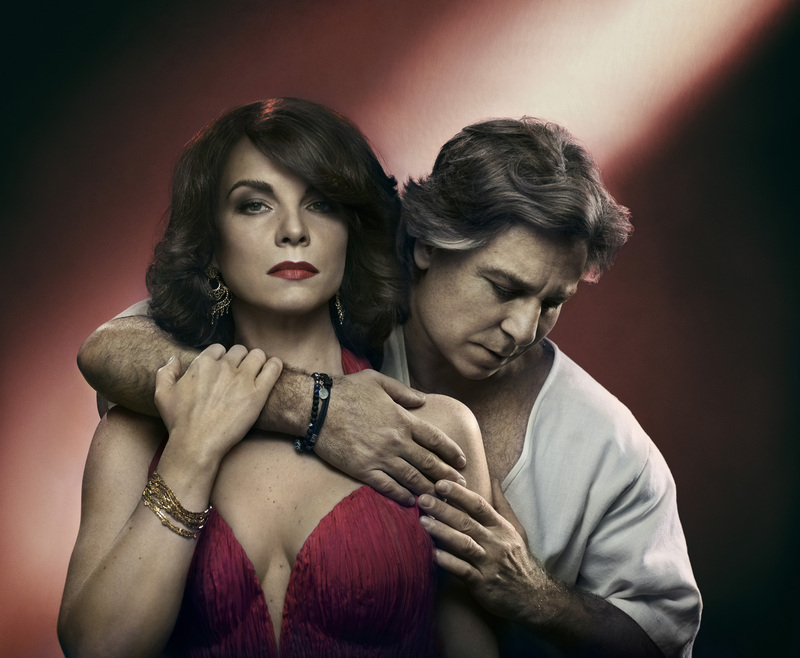 The 2018–19 Live in HD season features ten transmissions, including four new productions, two of which are Saint-Saëns’s “Samson et Dalila” at 10 a.m. Saturday, Oct. 20, with Elīna Garanča and Roberto Alagna (pictured at right) and hosted by Gloria Hutchins, and the U.S. première production of Nico Muhly’s “Marnie” at 10 a.m. Saturday, Nov. 10, based on Winston Graham’s suspenseful thriller, with Isabel Leonard as the title character. Puccini’s “La Fanciulla del West (Girl of the Golden West)” is set for 10 a.m. Saturday, Oct. 27, hosted by Patty Olmsted. The other two new productions are Mayer’s new staging of Verdi’s “La Traviata,” starring Diana Damrau, Juan Diego Flórez, and Quinn Kelsey, and Cilea’s “Adriana Lecouvreur,” starring Anna Netrebko in Sir David McVicar’s new staging. In addition, Live in HD audiences will have the chance to see Poulenc’s 20th-century masterpiece “Dialogues des Carmélites” for the first time on screen. Classic revivals include Richard Eyre’s acclaimed production of Bizet’s “Carmen,” starring Clémentine Margaine as the alluring gypsy, opposite Roberto Alagna as Don José; Laurent Pelly’s whimsical reimagining of Donizetti’s “La Fille du Régiment,” with Javier Camarena and Pretty Yende as Tonio and Marie; and the most popular of Wagner’s four epic Ring operas, “Die Walküre,” with Christine Goerke as Brünnhilde. Support from the Jeannette Hofer Fund at the Oregon Community Foundation, the City of Newport, season benefactors Bill & JoAnn Barton, opera hosts, and OCCA members make the series possible. General admission tickets cost $21 for adults, $18 for seniors and $10 for students. Get tickets online at coastarts.org, click links of individual opera events at right, visit the PAC box at 777 W. Olive Street in Newport or call 541-265-2787. 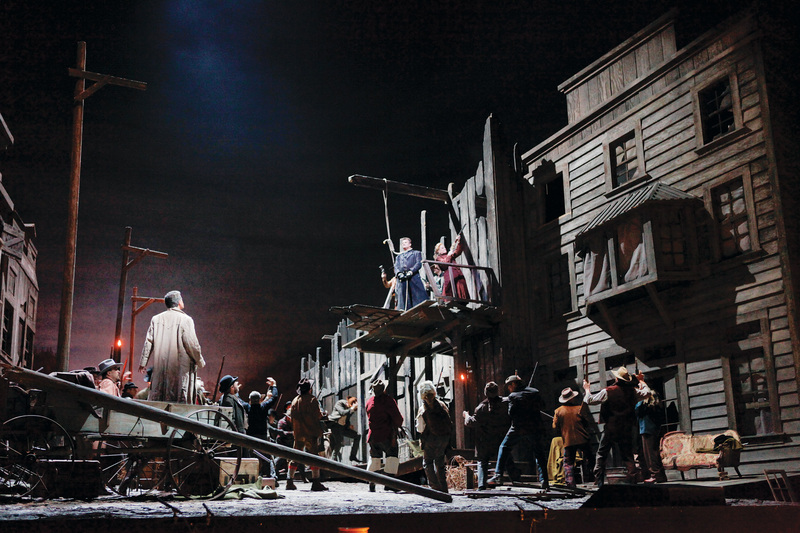 The ever-popular live interviews conducted by Met opera stars feature cast, crew and production teams. These behind-the-scenes glimpses give patrons an unprecedented look at what goes into the staging of an opera at one of the world's great houses. You'll be riveted in your seat until the intermission countdown flashes on the screen. "I do not have sufficient words to express how the experience of these Met Opera Live in HD programs enrich my life," says Virginia Hepburn. See details of the individual productions at right. Single ticket prices are $21 general, $18 senior, and $10 student, available online or at the box office. Buy tickets online at each event listing here on the website, or call 541-265-2787 to purchase single tickets. The Metropolitan Opera Live in HD series is made possible by a generous grant from the Neubauer Family Foundation. OCCA thanks the Jeannette B. Hofer Fund at the Oregon Community Foundation, the City of Newport, season benefactors Anonymous and Bill and JoAnn Barton, opera hosts, OCCA members and you who purchase tickets, for making this a reality. Thank you. Download the season brochure here as a PDF. Q. How are the operas chosen for the series? Are there some operas that might be more "challenging" for a general audience than others? A. Various factors play a part in choosing the repertoire for Live in HD, including the music, the composers, the performers, a Met favorite, etc. In general, opera, when it's presented at the highest level both musically and theatrically, appeals to a very broad audience. Upcoming 2018-19 performances in the Met Opera Live in HD season. In what should be a highlight of the new season, soprano Anna Netrebko sings her first Met Aida, going toe-to-toe with mezzo-soprano Anita Rachvelishvili as Amneris. Tenor Aleksandrs Antonenko is Radamès, and Nicola Luisotti takes the podium for the Met’s monumental production. Composer Nico Muhly unveils his second new opera for the Met with this gripping reimagining of Winston Graham’s novel, set in the 1959, about a beautiful, mysterious young woman who assumes multiple identities. Director Michael Mayer and his creative team have devised a fast-moving, cinematic world for this exhilarating story of denial and deceit, which also inspired a film by Alfred Hitchcock. In his first Live in HD appearance as the Met’s Jeanette Lerman-Neubauer Music Director, Yannick Nézet-Séguin conducts Michael Mayer’s richly textured new production, featuring a dazzling 18th-century setting that changes with the seasons. Soprano Diana Damrau plays the tragic heroine, Violetta, and tenor Juan Diego Flórez returns to the Met for the first time in five seasons to sing Alfredo, Violetta’s hapless lover. For the first time at the Met, Anna Netrebko sings the title role of Adriana Lecouvreur, the great 18th-century actress in love with the military hero Maurizio, sung by tenor Piotr Beczała. Gianandrea Noseda conducts Cilea’s tragedy, in a new staging by Sir David McVicar, with the action partially set in a working replica of a Baroque theater.